A refreshing antioxidant shield with flash-firming properties to improve skin texture while intensely hydrating dry dehydrated skin. Convenient mist-on formula supplements skin’s protective barrier by creating an active antioxidant shield of White Tea Licorice and Vitamin E to fight damaging free radicals while a patented polypeptide helps prevent the signs of aging caused by Advanced Glycation End-products (AGEs – a damaging byproduct of sugar/protein reactions in the skin). 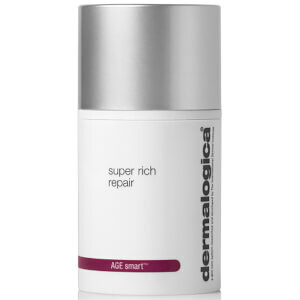 A highly-active Vitamin C complex combined with collagen-stimulating peptides encourages firmness and elasticity to help reduce the appearance of fine lines. Hyaluronic Acid acts as a hydration magnet to quench dehydrated skin while Pea Extract creates instant firming action to lift and tighten. Rose and Clove extracts comfort and refresh skin. Contains no artificial fragrance or color. Arginine/Lysine Polypeptide is a peptide that acts as a sugar trap binding sugar to itself to help prevent the formation of AGEs: a sugar-protein molecule that leads to stiff cross linked collagen. Magnesium Ascorbyl Phosphate is a non-acidic stable form of Vitamin C that stimulates collagen formation provides critical antioxidant protection and inhibits MMP enzymes that contribute to collagen breakdown. 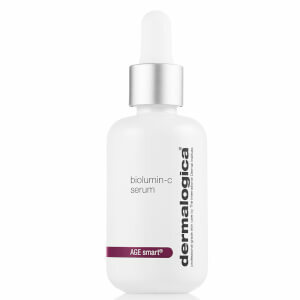 Palmitoyl Tripeptide-5 stimulates collagen synthesis helps firm skin and overrides the effects of MMPs. Activates Tissue Growth Factor (TGF) a peptide that is required in its active state for collagen production to occur. Arginine/Lysine Polypeptide: An advanced peptide that prevent the stiff, cross linked collagen. Magnesium Ascorbyl Phosphate: Stable form of Vitamin C that stimulates collagen, enhanced anti-oxidant protection. Palmitoyl Tripeptide-5: Stimulates collagen, firms skin, overrides effects of MMP. Tissue Growth Factor: Peptide required for proper collagen production. Bamboo/Pea Extract: Stimulates native Hyaluronic Acid formation for increased hydration. Water (Aqua), Butylene Glycol, PEG-40 Hydrogenated Castor Oil, Palmitoyl Tripeptide-5, Arginine/Lysine Polypeptide, Magnesium Ascorbyl Phosphate, Glucosamine HCl, Sodium Carboxymethyl Beta-Glucan, Camellia Sinensis Leaf Extract, Bambusa Vulgaris Leaf/Stem Extract, Pisum Sativum (Pea) Extract, Aloe Barbadensis Leaf Juice, Sodium Lactate, Sodium PCA, Sorbitol, Proline, Dipotassium Glycyrrhizate, Methyl Gluceth-20, Lecithin, Tocopherol, Glycerin, Disodium EDTA, Capric/Caprylic Triglyceride, Phenoxyethanol, Benzyl PCA, Citronellol, Eugenol, Geraniol, Limonene, Linalool, Citrus Medica Limonum (Lemon) Peel Extract, Rosa Damascena Flower Oil, Eugenia Caryophyllus (Clove) Flower Oil, Aniba Rosaeodora (Rosewood) Wood Oil, Citrus Medica Limonum (Lemon) Peel Oil, Pelargonium Graveolens Oil, and Helianthus Annuus (Sunflower) Seed Oil. 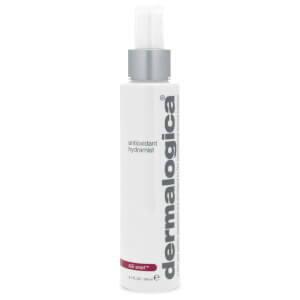 Light mist, perfect after cleansing before applying moisturiser. Love the gentle feel on the skin. Quick and easy to apply. Really love this product. 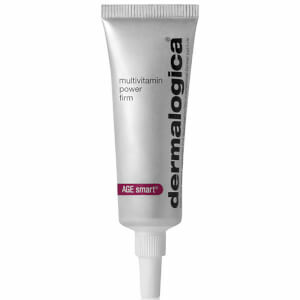 I love this product i tried to move to a less expensive brand but only lasted a week before i purchased again. I have used this product for at least 4 years ,This product is a must to have after you moisturise . it REALLY DOES hydrate your skin . This hydramist has a beautiful smell - apart from a basic rose mist, this is my favourite mist/ toner for smell and function. I never find toners particularly powerful in the effects I notice, so I didn't notice any visible changes, but use as I know important for skin/pore health. The smell is an extra bonus for calming in the morning! This is a great product. At first it felt a little sticky but after a few days use it became a very refreshing toner. other toners now feel dull. Try it with the cleanser for max effect.